Eastern Cape: A 20-year-old male suspect was arrested last night for the illegal possession of an unlicensed fire arm at Soweto-on-Sea. after a 9mm pistol, a magazine and three (3) rounds of ammunition were found. The fire arm was found with the serial number removed and it will be sent for forensic and ballistic analysis. The Motherwell Cluster Commander, Major General Dawie Rabie has applauded the arrest and repeated previous SAPS warnings that "Suspects using and possessing illegal fire arms to commit crimes will be facing the full force of the Law. Our community is invited to give information about the location of these fire arms in order for SAPS to remove these weapons off our streets." The 20-year-old suspect was charged for the illegal possession of an unlicensed fire arm and ammunition and will appear before the New Brighton Magistrates Court tomorrow. 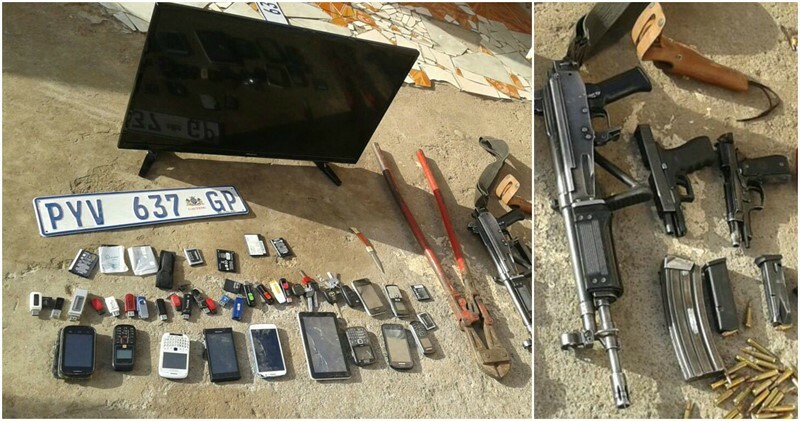 SAPS NEWS: 2 Suspects Arrested in 2 Separate Incidents for Illegal Possession of Firearm & Ammo in Walmer & Gelvandale.